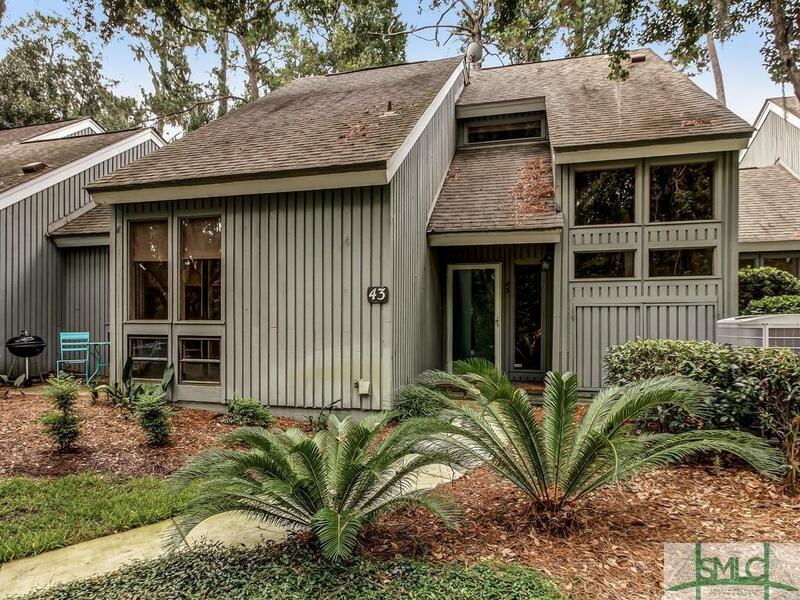 Tucked away and nestled among live oaks lies this updated 3 bedroom, 3 bath charmer. Improvements include: new carpet; repainted interior; upgraded kitchen with cabinets, stainless steel appliances, Corian tops, breakfast bar & built-in sidebar for the coffee brewer or avid wine enthusiast! Additional features include: laminate floors throughout the first level, baths & closets; improved trim work; smooth 9' ceilings; plentiful storage, multiple windows/sliders and fairway views of Marshwood #1 from first floor patios (3 total) and second story deck! You won't believe the fun you'll have being within walking distance to the Landings Harbor Marina and upcoming "new" Marshwood Club (member access only).